Empty walls, wool-insulated walls, eco-friendly urethane-injected walls, and customized composition walls. Stross walls are manufactured with care using an eco-friendly polyurethane foam. This foam is made from recycled plastic, vegetable oil, and soya. The urethane foam injected into the walls is inflated with water, a technique that is unique to Stross and environmentally friendly. 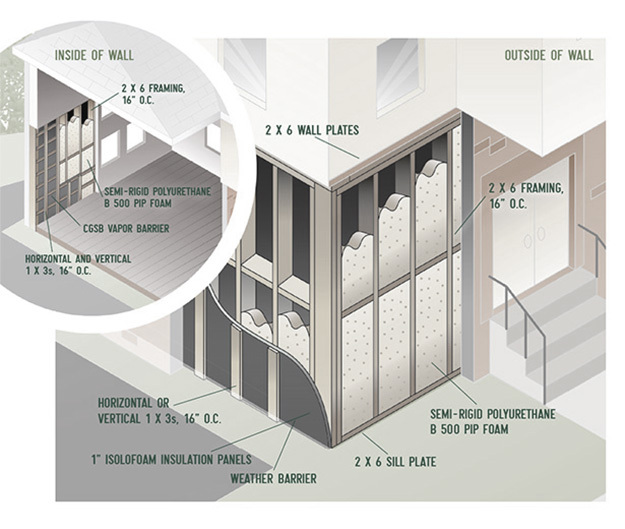 This innovative technology used in Stross walls allows the foam to penetrate difficult-to-reach places, thus ensuring maximum sealing properties. This is a highly beneficial feature in the home construction industry! Thermal insulation is one of the main uses for polyurethane foam. This material has more consistent thermal insulation properties than mineral wool. This technique also provides better soundproofing. Stross offers you the option to customize your walls to suit your budget. Our experienced estimators will guide you in your choices. We offer you a full range of high-end products at the best possible value for money. Contact us for more information.